GREEN CENTRAL WAS BORN OUT OF A PASSION FOR PROMOTING HEALTHY LIVING FUELED BY NATURAL WHOLE FOODS AND JUICES. IT WAS FOUNDED FOR THE PURPOSE OF INSPIRING PEOPLE TO EMBRACE A HEALTHIER LIFESTYLE. FIRST CAME THE NEED! It all started when we recognized that cold-pressed juicing was one of the healthiest ways to introduce a big load of nutrients from fresh, raw fruits and vegetables. It promotes energy, lowers cravings, and optimizes weight loss. Not only that, we also realized the value of clean eating to be able to eat more, weigh less, and feel amazing in our own skin. The principles of clean eating are simple and flexible; without banning any food group, this approach fires up the metabolism using the proper combination and quality of food. THEN CAME THE SOLUTION! Given these benefits, we decided to make juicing and clean eating accessible and enjoyable for everyone by creatively designing a wide selection of programs to satisfy different preferences. We strived to create options for those who wanted to take on a full-blown juice cleansing experience; options for those who cared to eat healthy; and other options for those who sought to do a bit of both. In keeping with our vision to inspire people to embrace a healthier lifestyle, we could not leave our clients alone in their journeys towards well–being. Our clinic was established to guide and motivate each person to achieve their healthy goals. AND THE OUTCOME? The outcome is an enjoyable lifestyle approach based on a principle that advocates for consuming things in their most natural state to unleash our own natural well–being. This approach goes over and beyond weight-loss. It is the cornerstone to a happy state of mind and an energized way of being. Believing that there is no such thing as a one-diet-fits-all, Sara’s success over the years has been due to her personalized approach with each individual client. She is driven by the passion to make a difference in people’s lives, one healthy meal at a time. 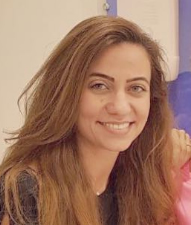 With twelve years of professional experience throughout the region, the last six being in Abu Dhabi, Sara is a HAAD licensed clinical dietitian with a B.A. in Nutrition and Dietetics from the American University of Beirut (class of 2004). Her extensive experience both in healthy food catering and clinical consultations has allowed her to develop a deep cultural understanding of the way people relate to food and diets. Green Central was the perfect match for Sara’s innovative approach to healthy eating. This creative collaboration introduced “CLEANSE. NOURISH. CONSULT.” as a unique holistic dieting experience made accessible and enjoyable for everyone.